Comprehensive health, fertility, planning, relationship, nutrition, fitness, and labor advice from a team of experts for every single day of your pregnancy. Count down your pregnancy day by day of each trimester with practical information plus 3D photos and illustrations for every stage of your baby's development. Look at every week of pregnancy, with a detailed section for each day showing how your baby is developing with advice on nutrition, health, and relationships, as well as Q&As with experts and moms. 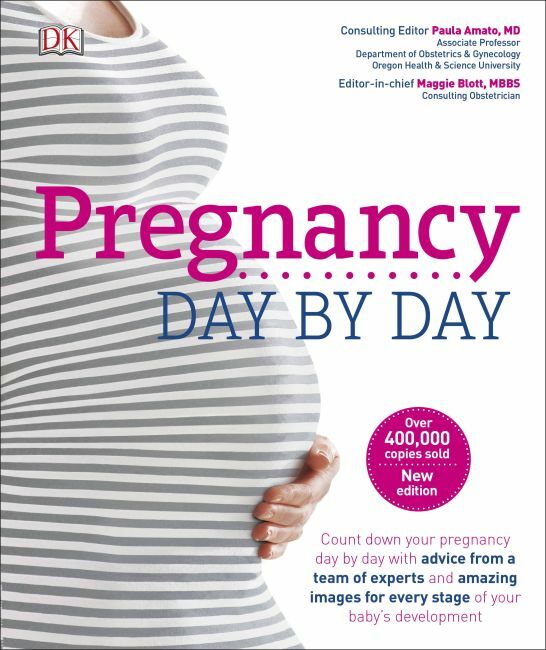 With more than 400,000 copies of the previous editions sold, this updated and revised edition includes fully updated text to reflect changes in medical practice, Cesarean sections, non-invasive prenatal testing, fitness and nutrition recommendations for adapting special diets, maternity rights and benefits, and resources, plus up-to-date images. Also covering labor, birth, and the first two weeks of your baby's life with cutting-edge photos and illustrations, Pregnancy Day By Day will be your pregnancy bible-every day. Consultant Editor: Paula Amato, MD, is a reproductive endocrinologist and an associate professor at the Oregon Health and Science University (OHSU) in Portland, Oregon. She received her medical degree from the University of Toronto, where she completed her residency in obstetrics and gynecology. Dr. Amato subsequently completed a fellowship in reproductive endocrinology and infertility at the University of California, San Diego. She is board-certified in both obstetrics and gynecology, and reproductive endocrinology and infertility.